Check out the Making of This Site. Read a little About Us in the Background section. Navigate anywhere on this site using the Site Map. 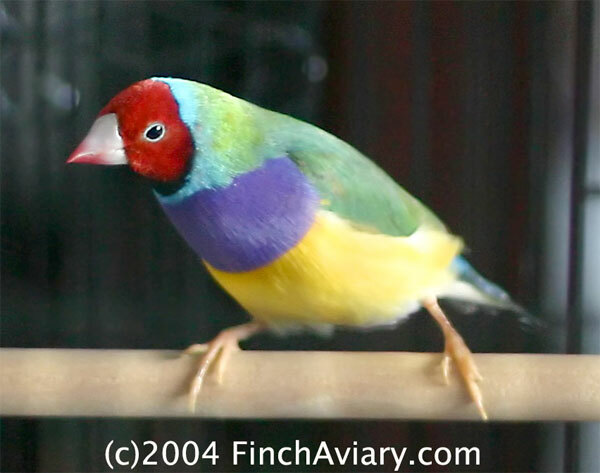 The intention of this site is to share our experiences, practices, and ideas about keeping finches in an indoor aviary. It is also designed to be a portal of information for the newbie finch enthusiast. We have learned a great deal about finch-keeping from many sources, including books, breeders, veterinarians, bird clubs, and the Internet community. Rather than bore you by recycling the more technical information we have gathered, we have provided links to many well-written, comprehensive, and/or well-illustrated articles published on the web when appropriate. These are excellent supplements to the experiences shared within, and we would like to give credit, appreciation, and support to those who have taken so much time to provide this quality information by sending interested parties directly to their sites. If you have links to articles on the web that would be of interest to us or to our visitors, please contact us and we will be happy to add them to our site. Most importantly, please take the time to submit your opinions on any topic found (or not found) herein. Our intention is not to persuade anyone to adhere to our philosophy of finch care, but only to submit it for consideration. Let us know when you agree or disagree and why, what works for you and what doesn't. Proud member of the NFSS (since 2002) and GCCBC (since 2004). The information presented on this site was obtained through our personal exploits in finch-keeping as well as through research we have done to ensure we are providing our birds with the best possible care. To the best of our knowledge, the information provided herein is accurate. However, we cannot be held accountable for any misfortune that may occur directly or indirectly as a result of taking advice presented on this site. Follow our practices or ignore them at your own discretion and risk. We strongly encourage finch-keepers to seek the advice of a veterinarian when making decisions about the proper care of their birds. Comments from visitors are posted in order to promote open information exchange. These comments do not necessarily represent the opinions or views of the site administrators and we are not responsible for the accuracy of these posts. Products and suppliers are cited within only to help our visitors track down some hard-to-find items. We have no financial stake in any of the products mentioned, nor are we affiliated with any of the websites referenced. We are not responsible for information or products provided by any of these sources. All content (including, but not limited to, articles, illustrations, photographs, sound clips, and video clips) found on this domain is property of FinchAviary.com (Copyright © 2002-2004 FinchAviary.com), except where otherwise indicated. No content may be copied, distributed, published, or reused without the expressed written consent of the site administrator. (Feel free to print or make a copy for your own personal reference, of course). Any content reprinted on this site that is not the property of FinchAviary.com may not be copied, distributed, published, or reused without the expressed written consent of the respective owners. We believe in the free flow of information for the benefit of the birds, and would like to encourage you to contact us if you would like permission to reuse content found on our site, as long as the material is not to be used in a way that might be considered detrimental to the discipline of finch-keeping.